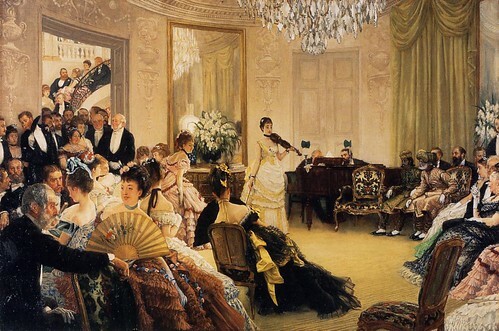 Enjoyed you brief history which I stumbled upon, while searching for a violinist name. PS. I was trying to run down a recording of Wilhelm Peterson-Berger’s Romance for violin and orchestra that I had recorded years ago on WFMT. Karl Haas’s introduces the violinist and I can’t make out the name as it is at the beginning or the tape but it sounds like “Mela Peru”. Do you know who she is or anything of this performer. I have destroyed the tape through repetitive playing and find her rendition superior to others I have listened to. I’m very sorry I don’t know any violinist named Mela Peru. The closest thing is Maud Powell but she didn’t make any recordings of that piece to the best of my knowledge (and radio stations don’t often broadcast recordings from her generation anyway). I’ll keep an eye out though and if I find anything I’ll let you know! 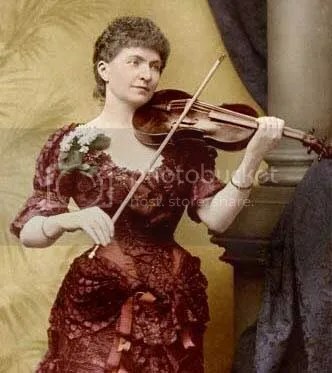 Lady Blanche Lindsay, whom you quote, was an amateur violinist herself. 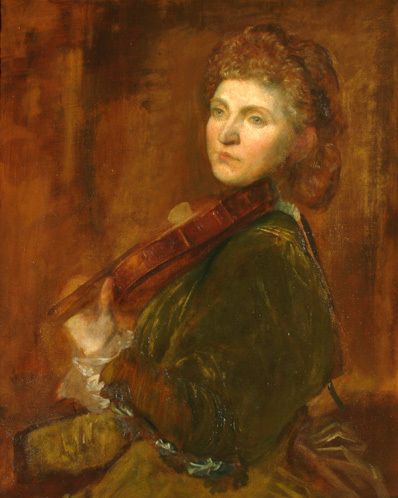 There is a portrait of her holding a violin in the National Gallery. Ran across your article while searching for info on 18th century female violinists. 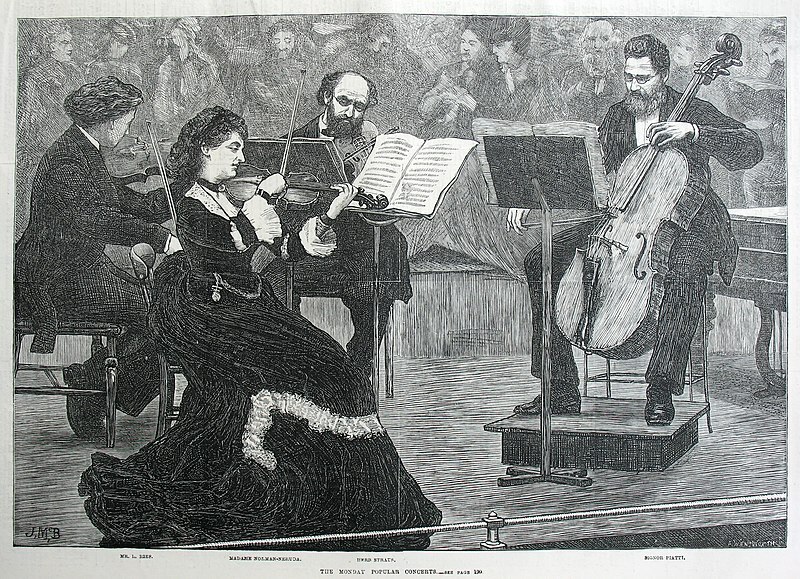 I had an inkling there may have been a stigma against female violinists historically, but had no idea the extent to which it went nor any idea about famous female soloists! Thanks for the info.